Welcome to the Fashion Blogger’s traffic hack series. I have recently started a series documenting my journey to 10,000 unique views per month in 3 Months. You can read the part 1 of this series here. 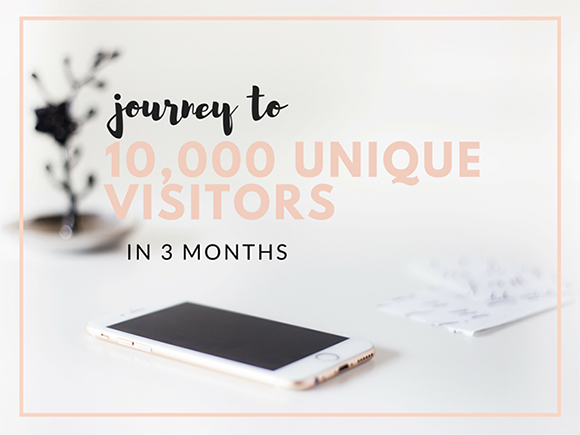 In this post, I will talk about how I plan to reach 10,000 unique views per month in just 3 months. I did reach 5000 unique views in February two of my blog posts went viral on StumbleUpon but this growth was not consistent. I fell back to the 1500-2000 unique views per month. By reading my traffic strategy, I hope you can get some ideas and apply these strategies to your own blog. If you are interested, I can help you out with your blog traffic strategy, just feel free to leave a comment below with a link to your blog and subscribe to my mailing list. Alternatively, you can send me an email with all the challenges you are currently experiencing. 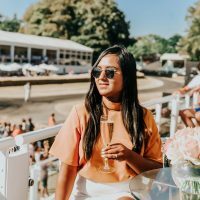 I have been analysing the fashion/personal style blogging niche and noticed not many bloggers talk about their traffic journey and how they reached their traffic goals. However there are few who do publish their traffic reports but they don’t go into detail with exactly what they did. How to promote your blog posts to get maximum traffic in a short amount of time. These are the same questions that are on my mind and hence, I wrote this blog post to answer these questions. Taking my blog as an example, I was looking at personal style and fashion blogs. The best place to start when thinking of traffic strategy is to look at other blogs in your niche, in our case personal style/fashion and see how you could be a bit different and do better. In my case, I have noticed most blogs link very expensive clothing items and I want to show how people could dress luxury on a budget. What questions did you wish that others would share? How can solve others problems? I wish other bloggers shared exactly what they did to reach their target traffic goal. I just don’t want to see their traffic stats I want the strategies that work for fashion or personal blogging. Are there other blogs in your space covering similar topic? If yes how you can write from a different angle. 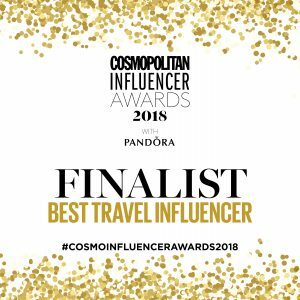 There are quite a few petite fashion bloggers in the USA but not many in the UK so I aim to showcase my petite outfits to my audience in the UK. If they have impeccable photos, study the photo composition and why you like their photos? Is it the background, clothes or the quality that appeals to you. I love blogs with a minimalist theme and want to have a minimal feel to all my photos so started following a set pattern to achieve a cohesive feel. Where do these blogs share their content? Is it facebook groups, twitter chats or Pinterest? After studying the fashion and personal style blogging space I noticed most bloggers are active on Instagram and Pinterest. Pinterest has brought highest referrals for most bloggers. So these are the 3 things that will help us reach our goal. Now it’s your turn to audit other successful blogger’s content, photography, and social media and see how you can differentiate your blog from rest of them. 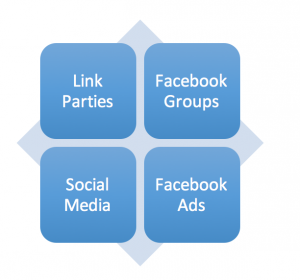 Link Parties- Hosting and participating in link ups helps drive traffic consistently. There are loads of link ups in fashion and lifestyle space that you can join. In order to make sure people consistently come to your website, you need to host link ups at least once a week. It’s also great to participate in linkups but it’s very hard to get click through so hosting your own is key here. You can join my link ups every Monday and Wednesday. Facebook Groups- This has been a game changer for my blog traffic. I aim to participate in 3 groups every day to drive traffic. I currently participate in Show your blog love, Grow your blog and Blog Engagement and aim to continue participating regularly. Social Media- Posting consistently on Twitter and Pinterest. I used to regularly post on Twitter and saw some good traffic referrals. I suggest tagging blog retweet accounts @femaleblogRT #bloggingals and if you are in the UK @ukblogRT. Participating in chats like #fblchat #fbloggers #bbloggers #stylechat hosted by Style Caster can help drive traffic to your website. Pinterest– I am going to post consistently on group boards and participate in Pinterest threads on Facebook groups listed above. I am going to research some Pinterest boards and report back in my April Traffic report. Facebook Ads– Facebook ads are a great way to reach audiences you couldn’t ever tap for as little as £3. I aim to boost my blog posts and drive traffic to the website. Here are few tactics that I am going to follow for the next few months and report back with April Traffic report in May. To receive my next post please subscribe to my traffic hack list below. If you need me to personally look at your website and give you some tips please leave a comment below. Please kindly link up your blog post to http://www.elegantlyfashionable.com/category/friday-blog-linkup/ so that others can discover new blogs and bloggers. Since it’s a blog party, please visit other blogs and say hello. Also, mention me in your posts and follow me on Bloglovin, Twitter,Facebook and Instagram. Thanks for the tips! Come check out my latest collab with EXPRESS & let me know what you think of that romper – Have a lovely weekend! These are some great tips you’ve shared. I’m already part of some those groups but after reading it here I am going to be more active in them. It’s awesome that you are posting about this as it’s not always as easy as it seems. I would love if you are able to email me to see what other tactics to apply. Great tips. Link-ups have been a great way for me to reach new people and build my audience. I still have a small readership, but I’ll keep working at it to get my blog out there! Thank for these additional suggestions! Thank you so much for linking at #ThursdayFavoriteThings! I look forward to seeing what you share every week. Please come back for #OverTheMoon on Sunday night. Don’t forget to comment your link #’s so I can be sure to visit and you get a chance to be featured! 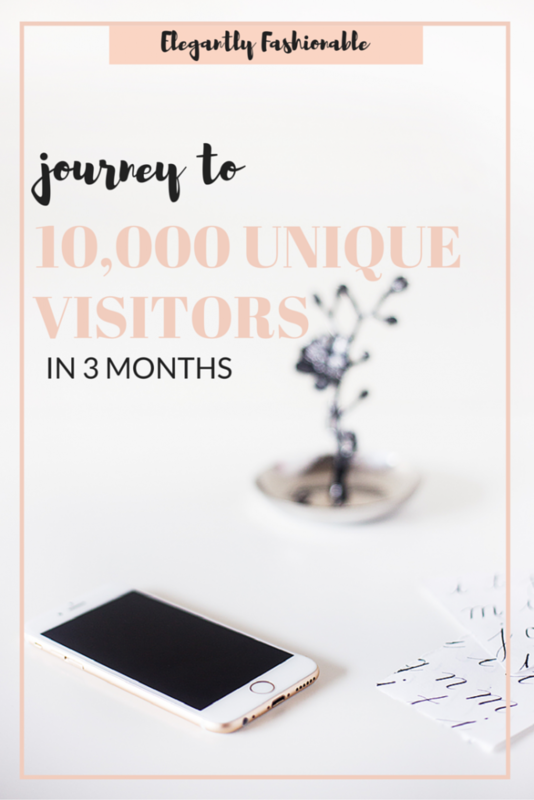 This was such a helpful post, you’ve hit the nail on the head as a lot of bloggers don’t share the details on how they’ve reached certain milestones. I have pinned this because it’s a great resource ! Well done, your blog is beautiful! I would be interested to hear more details about Facebook ads, especially how much traffic you managed to drive and how much it costed you. Good luck with your goals! Great tips! I’m just starting to figure out Facebook Ads but the spending of money scares me a bit but necessary to grow. I’m visiting today from the The Creative Corner link up. Awesome tips for all types of bloggers, so great of you to share! Thanks for sharing this! I am currently working on Pinterest and have found a lot of growth if I regularly pin +follow, follow, follow. I’ve probably gained about 500 new followers in the past month from this. My whole thing is turing that into page views. I maybe get a few hits a day at the most from Pinterest. I get re-pins of the other things I pin and not my original content. So right now that’s what I’d love to learn more about … how to get people to re-pin your stuff. I think Pinterest is set up in a way where stuff with low pin numbers doesn’t show up on people’s home page. Fantastic post, just forwarded to a fellow blogger. Thank you! I found your blog via Inspiration Mondays. Pinterest is where I am really struggling. I repin my own articles- but can’t seem to generate traffic from the site. Occasionall Stumbleupon throw me fifty hits but again- nothing consistent. Linky parties and my subscribers seem to work best but I probably do a few thousand unique viewers a month. How do you know something went viral btw? I have avoided Facebook Ads but perhaps its time to try them out. I found you through #trafficjamweekend blog hop. Really interesting thanks for Sharing. I write a blog about travel and days out with little ones, so not the same topic area but still some really useful tips that I will use. Also, being short myself, it’s great to see your blog for petites! Thanks, Debonita, for sharing your journey. I’ve also been seeking ways to increase traffic. Bottom line seems to be willing and able to invest time and consistent, deliberate effort into making connections.